Indian automaker to takeover Jaguar? Many investors and automotive industry analysts question whether a bid for two luxury brands, Jaguar and Land Rover by India's Tata Motors, maker of workhorse trucks and low-end mass market cars, would make much business sense. 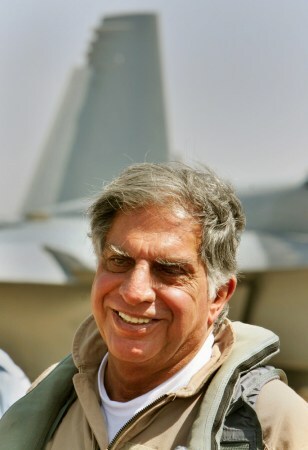 Tata Group Chairman Ratan Tata confirmed in August that he is clearly interested in entering the competition for the iconic Britain-based automakers, which have been put on the auction block by financially troubled Ford Motor Co.